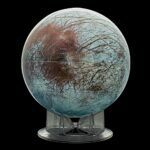 WAUKESHA, WI/NEW YORK, N.Y. – This holiday season, Kalmbach Media, the content creator of such well-known and respected media brands as Astronomy, Discover, Model Railroader, and Trains, offers an impressive lineup of exclusive gifts for science lovers of all ages, available only at Kalmbach’s MyScienceShop.com. 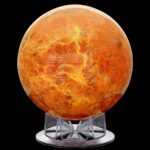 The MyScienceShop.com store features over 500 items to fit any budget, and offers everything to drive your child’s passion for science from puzzles and microscopes to mini-robots to hydroponic kits to dinosaur figurines. 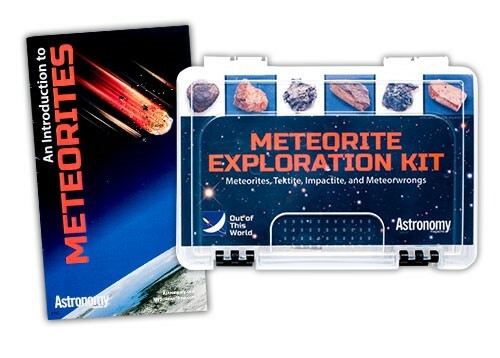 Astronomy Magazine Meteorite Exploration Kit: Developed exclusively for Kalmbach’s Astronomy brand by meteorite expert Dr. Mike Reynolds, the Meteorite Exploration Kit is the perfect way to introduce astronomy enthusiasts of all ages to the mysteries of iron and stone meteorites. 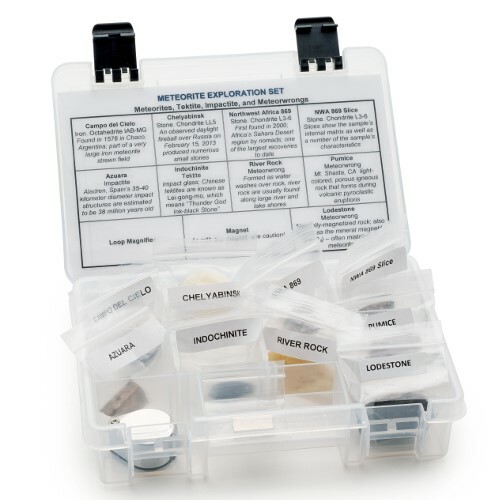 Each kit includes 6 samples of actual meteorites, 3 “meteorwrongs” (ordinary rocks to help spot the critical differences from the real thing) loop magnifier, magnet, identification card and 16-page booklet, all in a convenient divided storage case. $89.99. 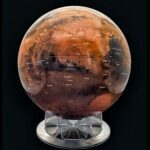 Globes of the solar system: Mercury, Mars, Venus, Pluto, My ScienceShop.com has them all, including the brand-new, first-ever globe of Europa, one of Jupiter’s most fascinating moons, and an object of intense study for scientists speculating on the possibility of life existing in Europa’s subsurface oceans. 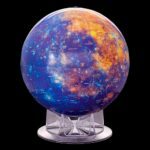 Each 12-inch globe is richly detailed in vivid color with more than 100 individual features identified and labeled, and comes with an acrylic display base. $99.95 each. 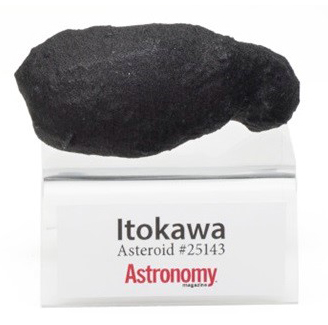 3D Comet and Asteroid: Detailed 3D replicas of Comet 67P, target of the 2014 Rosetta mission, the first time a spacecraft landed on a comet; and the asteroid known as 25143 Itokawa, object of the 2010 study by Japanese spacecraft Hayabusa. 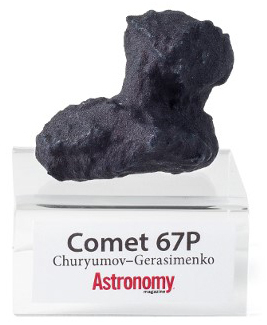 Each is highly detailed with accurate shape and surface features, yet small enough to fit in the palm of your hand. 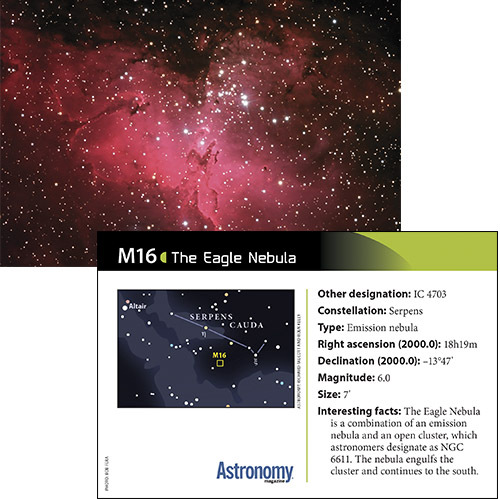 Comes with an informational document about each object’s discovery and features, and includes an acrylic display. $27 each. 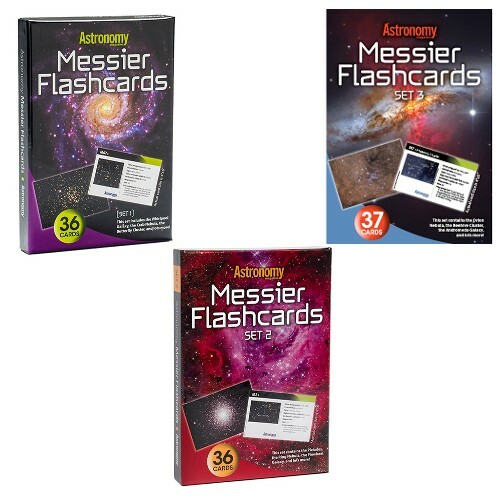 Messier Flashcards Set: The famous Messier catalogue lists more than 100 of the most spectacular examples of astronomical objects, including nebulae, galaxies and clusters, and some of the most popular targets for amateur astronomers to study. 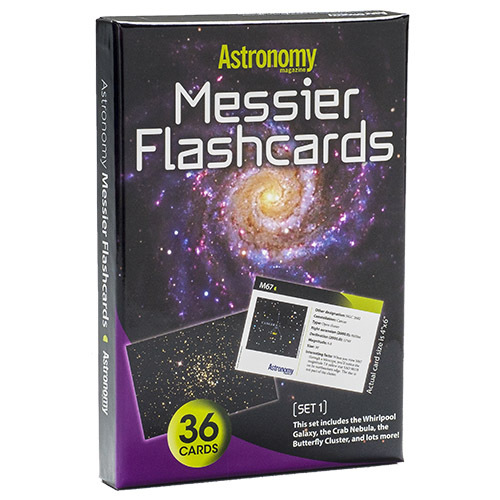 With Astronomy’s Messier flashcards, budding stargazers can have fun learning to identify deep-sky objects with these full-color 4×6 cards, each featuring gorgeous photos, identification tips, fascinating facts and more. $10.99 per set.